Pregnancy is the most beautiful phase in a woman’s life, but given the body complex, especially how they believe they look, many mothers-to-be usually shy away from social events during their pregnancy. 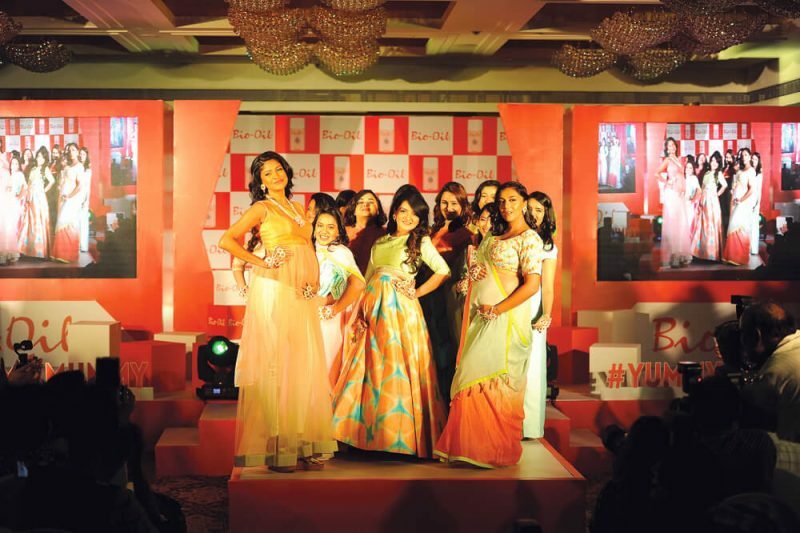 Bio-Oil hosted the #YummiliciousWalk, where 12 proud mothers-to-be, traversed the ramp with coveted model Carol Gracias and popular TV actor Shveta Salve. Bio-Oil aims to be a facilitator for expecting mothers to help them shed their inhibitions and to celebrate this beautiful phase of motherhood. State Bank of India (SBI) played host to senior commercial bankers from Egypt on a study tour of MSME units in India. The visit was organised by the Egyptian Banking Institute and coordinated in India by the Indian Institute of Banking and Finance. The bankers’ delegation was welcomed by Anshula Kant, deputy managing director and chief financial officer, SBI. The team from SME Banking Unit, led by GK Kansal, chief GM enlightened the guests on financing to MSME units, bank’s recent initiatives including digital banking and online lending to sellers on e-commerce platforms and taxi aggregators. 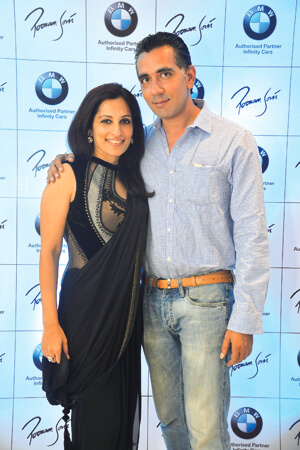 Luxury aficionados of Mumbai were in for a royal treat, as jewellery designer Poonam Soni and BMW Infinity Cars came together to host an evening, which spelt sheer grandeur and magnificence. 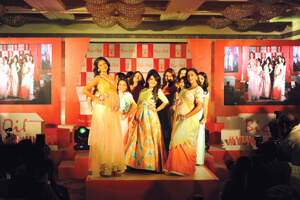 The glitterati included the likes of Asha Raje Gaekwad, Pragyashree Gaekwad, Pankaj Udhas, Laxman Shreshtha, Abha Singh, Shilpi Jatia, Suchitra Pillai, Rashmi Uday Singh, Malavika Sangghvi, Sagarika Ghatge, Vidya Malvade and Babita Malkani. Dindayal Industries Ltd. Won the ‘Outstanding Achievement Award’ 2016, organised by the Federation of Madhya Pradesh Chambers of Commerce and Industry. The company received the award for its outstanding contribution in the Ayurveda industry. 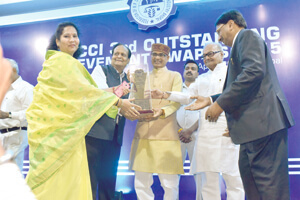 The award was handed over by Chief Minister of Madhya Pradesh, Shivraj Singh Chauhan to Anand Mohan Chhaparwal, MD, Dindayal industries Limited. Viveck Shettyy, MD, Indus Communications, was among the prominent winners at the ‘Navshakti Sanman Awards 2016’, chosen for excellence in the field of communications and publicity, leading to social impact. Doing the honours on this day was Shiv Sena chief Uddhav Thackeray. 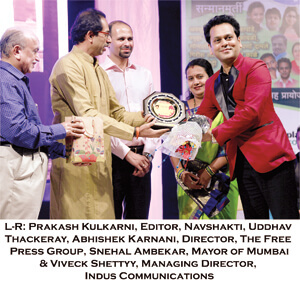 The Navshakti Sanman Awards has been an annual affair for the last eight years. Those conferred the award include former Union Home Minister Sushil Kumar Shinde, governor of Uttar Pradesh Ram Naik, actors Sachin Khedekar and Mukta Barve. 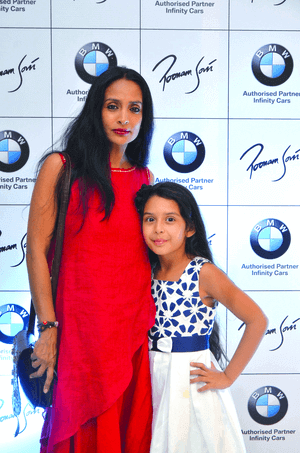 Among the other prominent winners this year were Dr Neelam Gorhe, Veena Gavankar, Avdhoot Gupte and Ajay Kaul. Melodious music filled the air with live band that took centre stage and an enthusiastic, packed gathering at the Veer Savarkar Sabagriha cheered the winners. Parineeti Chopra hosted the grand opening of H&M store in the national capital recently. Spread over 37,000 sq. ft., it is located at the DLF Mall of India. The new location has four floors, with each floor dedicated to apparel and accessories for ladies, gents, teenagers and children. The store will also feature sections for lingerie, H&M Sport, H&M Mama for expecting mothers and a plus size collection, H&M+. It’s the 4000th store for H&M across the 61 countries that it operates in globally. 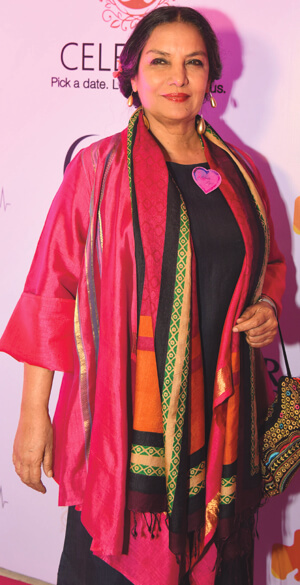 ‘Celebrate Life’—an endeavour to spread awareness on breast cancer was hosted by Dr Deepika Krishna director, Cancer Healer Centre in association with fashion designer Preeti Ghai. The event, which was an unbridled celebration of life, took place in New Delhi. 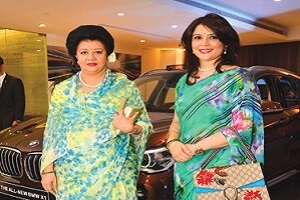 Actors Shabana Azmi, Mandira Bedi and Poonam Dhillon were present to support the event. 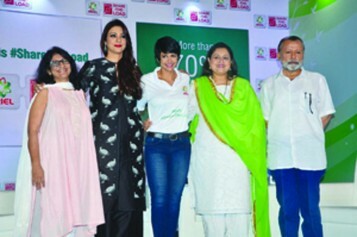 Spiritual guru Anita Acharya, beauty expert Dr Blossom Kochhar, kuchipudi dancer Kaushalaya Reddy, golfer and social activist Neelam Pratap Rudy, ambassador of peace Ratan Kaul, entrepreneur Mallika Jain and fitness consultant, Pilates teacher and cancer survivor Deepika Saxena were a part of the event. Sonam Kapoor launched her own app, so that she can directly keep in touch with fans worldwide even when she is busy filming or is gracing red carpet events. Developed by Disciple Media, the app includes features like real-time live streaming, exclusive content, talent-fan chats, competitions, app-only merchandise, messaging and social media aggregation. The extraordinary affair held in Mumbai had quirky decor elements like a vertical faux garden with a pastel pink bicycle and delicious high-tea menu.